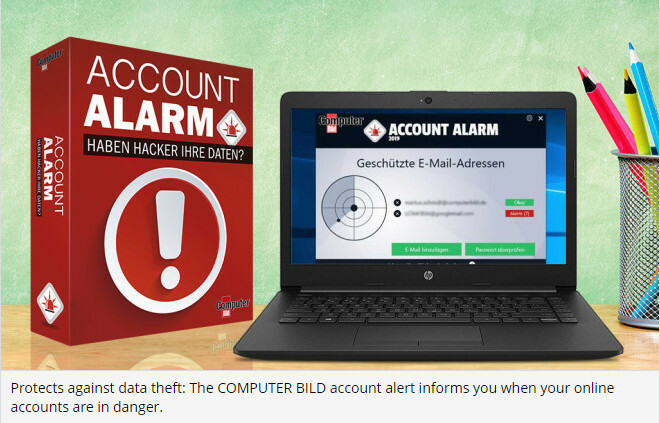 The "COMPUTER BILD Account Alert" informs you if your online accounts or passwords are affected by hacker data theft. The free security tool analyzes your email addresses and passwords and matches them to an Internet database. If the software finds it, you will receive a push notification in Windows and learn more details by clicking. For each registered address as well as for each password the "COMPUTER BILD account alarm" lists the hacked sides including background information. On request you can have the description text for the respective hack displayed in the original language. At the same time, you will be notified immediately to change your password and to use a different e-mail address. Would you like to stop receiving the alarm? Download , install and start the free security program . Type in the e-mail address that the account alarm should protect. Get your emails and enter the verification code. 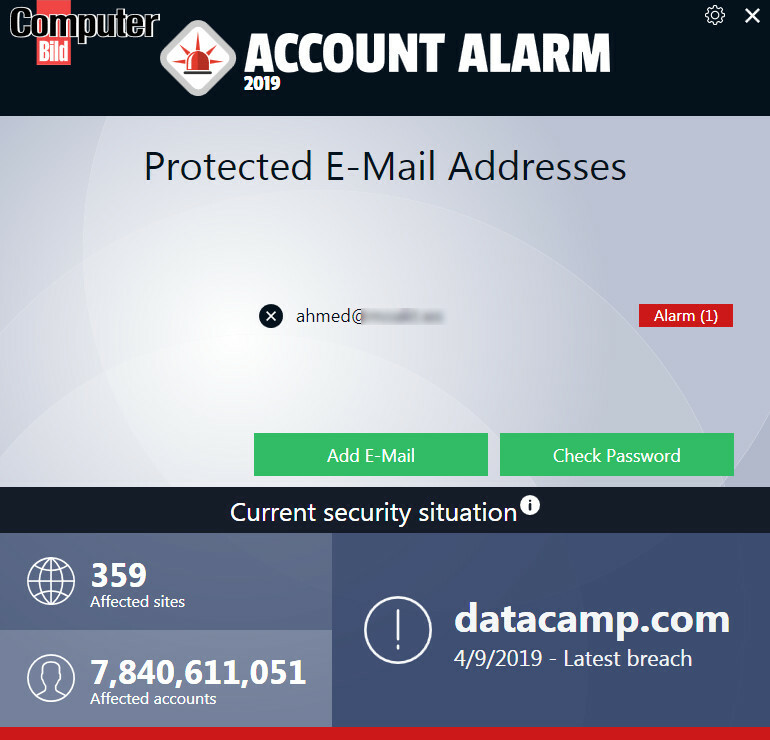 The Account Alarm checks if the address has already appeared in connection with data peaks. If a green button appears with the message "Okay", everything is fine. If a red button appears with the message "Alarm", this e-mail address is affected by a data theft! To find out which online service the data thieves have hit, click Alarm . Click Add e-mail to check more e-mail addresses. Current time: 04-18-2019 , 05:26 PM Powered By MyBB, © 2002-2019 MyBB Group.